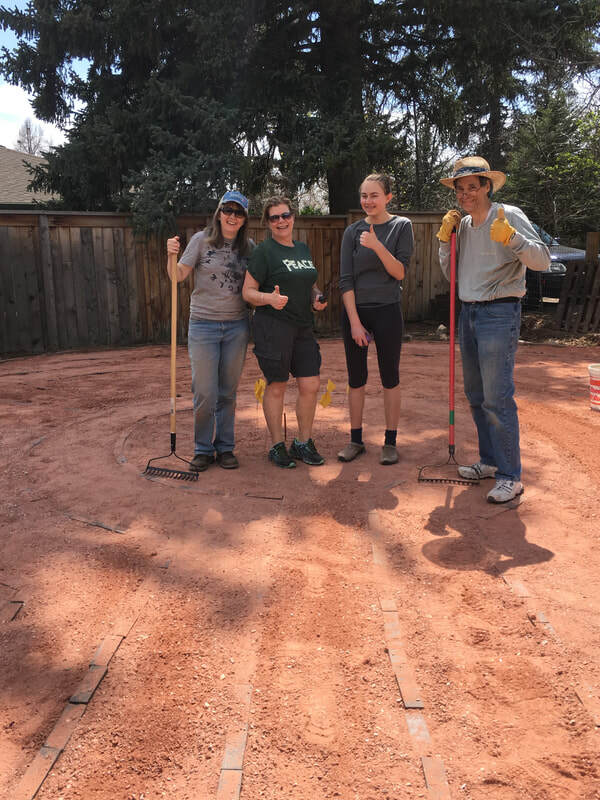 ​The Labyrinth at Plymouth is open to all people as a way of quieting the mind, recovering balance in life as well as encouraging meditation, insight, self-reflection and stress reduction. The practice of labyrinth walking integrates the body with the mind and the mind with the spirit. Used for centuries as a tool for transformation and contemplation, the labyrinth is a path offering only one route to the center and back out again. Labyrinths are often outdoor paths that allow the walkers to experience nature as they wind their way to the center, such as the labyrinth at La Foret Retreat Center. 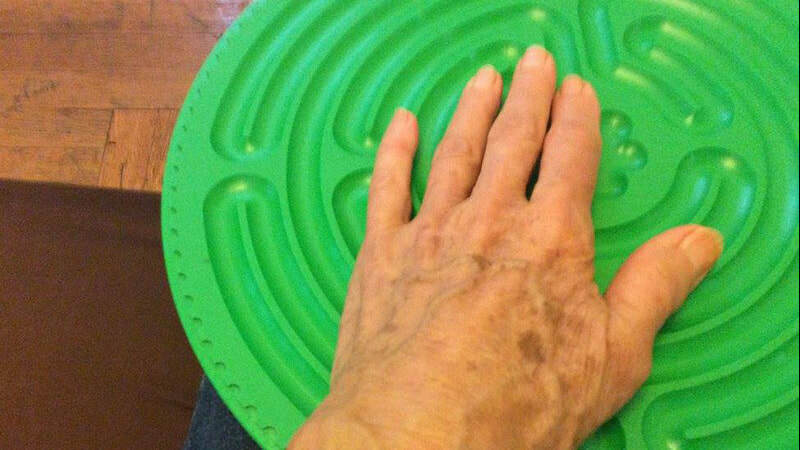 Some labyrinths are small enough to carry and hold in your hand for times of centering. 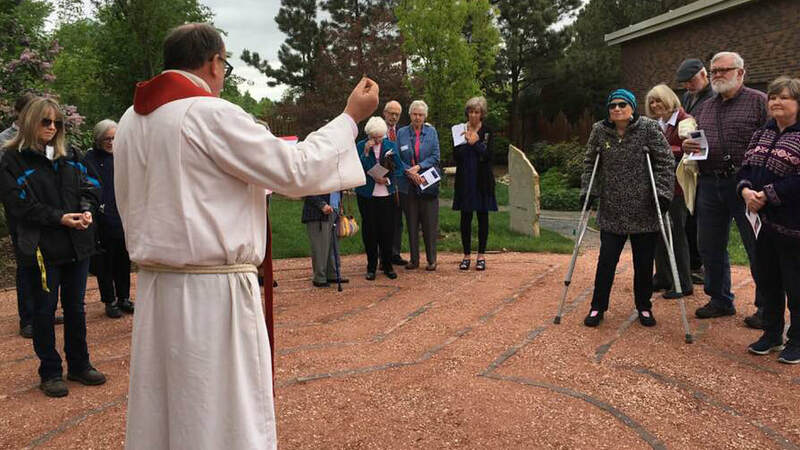 Often people find walking or using a labyrinth an embodiment of prayer as they journey inward and back out again. Labyrinths have been found around the world going back at least 5,000 years. The Chartres Cathedral labyrinth dates to 1200 CE. 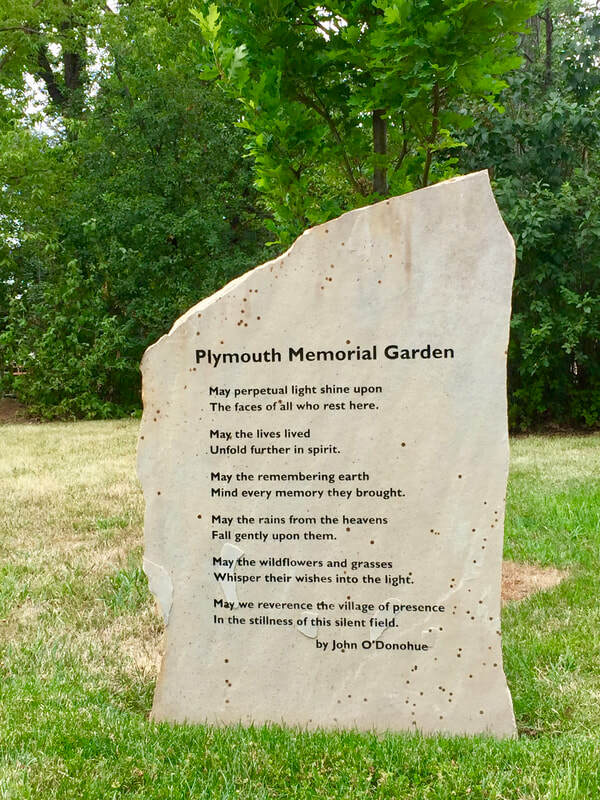 Plymouth’s outdoor labyrinth was completed in May 2018 by dedicated volunteers as an extension of the Memorial Garden to create a place where body and spirit can intentionally join, a place of prayer, a space that brings a sense of peace to any who travel its paths. The labyrinth is a gift to all. Before walking the labyrinth take time to breathe, set an intention or focus for your walking meditation. Walk at your own pace into the labyrinth. Release your troubles or distractions. Open your heart to feel whatever it might feel. Standing in the Center, pause and open yourself to your higher power. Pray. Listen. Receive. Stay as long as you like. Follow the same path out of the labyrinth. Reflect, Return and Respond. Remember: There is no right way or wrong way to walk a labyrinth. Each labyrinth experience is different. Learn more about labyrinths in general here. We also made a canvas labyrinth for indoor use! The slideshow on the left shows its construction. On the right, its first outing (the Women's Retreat).